Handbook with activities for work with students with disabilities for improving their literacy and numeracy skills contains 20 activities for lower grades of the primary school . 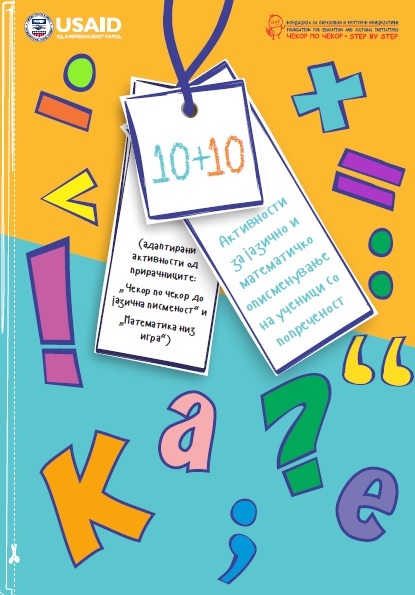 Two special educators from a special primary school in Macedonia made an adaptation of ten activities from each of the two previously published handbooks (“Step by Step to Literacy” and “Learn Math through Play”). All of the activities can be easily replicated in the classroom with affordable and easy-to-get materials. This handbook is a useful resource for teachers from the special schools, but also for teachers from all other inclusive classrooms.